Often, when I create a handmade card, I end up with a card that isn’t a standard size. That’s why one of my favorite Stampin’ Up! 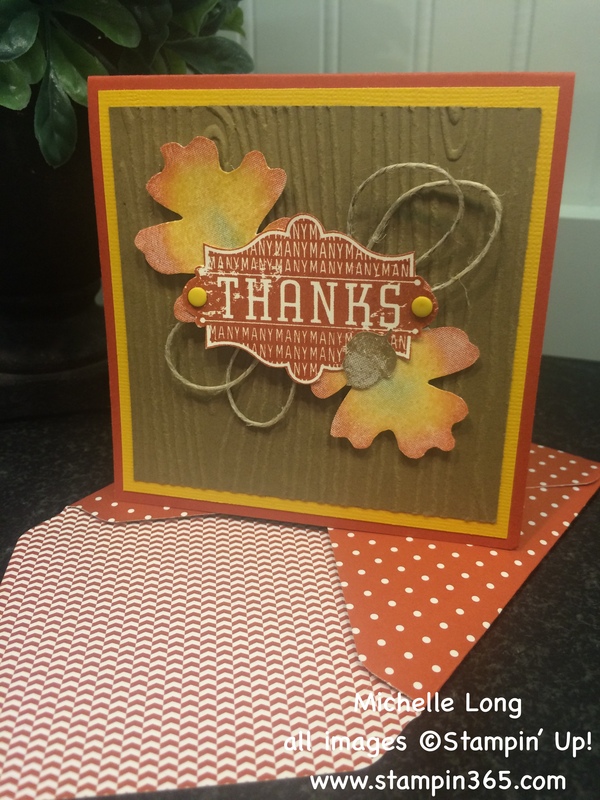 products ever is the envelope punch board, perfect for cards like this square thank you. I also love my craft products to be affordable, easy to use, and to serve me well. 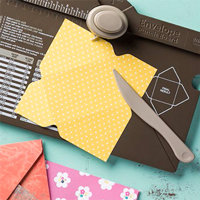 At $19.95, the envelope punch board is just that, and not only can you make envelopes for cards in up to 66 different sizes, but you can also create boxes, bows, file folders and more with it! Want one of your own? Click on the image below and you can purchase one from my online store. I can second this recommendation. I have one of these envelope boards and it’s saved me putting money in the swear box many a time, when I’ve realised that I’ve made a card with too many adornments on it and so have to make an ‘envelope box’ to fit the card inside and post it safely. Thank you, so much, for the endorsement, Cobs! Hugs across the pond!